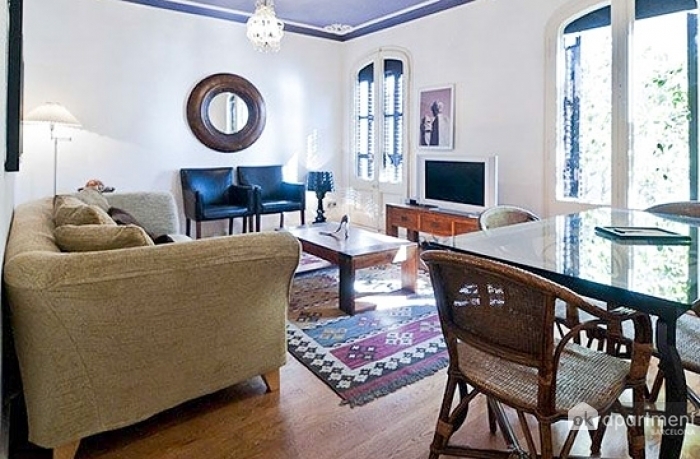 Flat available for monthly rental near Plaza Catalunya. It has two bedrooms with double bed, a living room, kitchen and bathroom with shower. Has all the amenities to make you feel at home (free Wi-Fi, air conditioning, washing machine, dishwasher, and more). The apartment is located in one of the Modernist buildings in Barcelona (listed building), next to Las Ramblas and Plaza Catalunya. 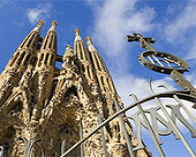 There are a large number of tourist attractions nearby, including the Cathedral of Barcelona, Roman Ruins and La Boqueria market, amongst others. The nearest metro station is Catalunya (L1 and L3), so you can move around the city with ease.